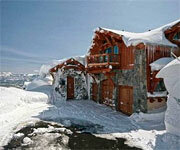 AAA Four-Diamond, Full Service, Luxury Resort at the Base of Squaw Valley in North Lake Tahoe! The Best Luxury Resorts for Large Groups, Family Retreats & Reunions! 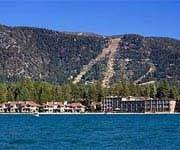 Aston Lakeland Village Beach & Mountain Resort: This beachfront resort offers great Lake Tahoe accommodations for large groups. Its spacious townhome-style quarters can accommodate as many as 12 people, and have a full kitchen, living and dinning room, large fireplace and deck. Many of these rooms also offer gorgeous lakefront views. Guests staying at the Aston Lakeland Village can enjoy several unique perks including access to the private beach, heated pools, hot tubs, sauna, fitness center, complimentary breakfast and daily shuttle service to shops and restaurants in South Lake Tahoe and Heavenly Ski Resort. 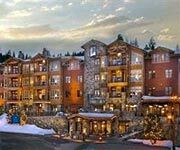 Northstar at Tahoe Resort: One of the most renowned and popular tourist destinations, Northstar at Tahoe offers great Lake Tahoe accommodations for large groups including luxury amenities, fine dining and a mix of fun outdoor activities and sports. Northstar Resort features a 9,000-square-foot skating rink and gondola to its mountain lifts, where guests can enjoy dozens of skiing and snowboarding trails. During the summer, guests can enjoy leisure outdoor sports such as tennis, golf, volleyball, swimming, mountain biking and hiking. There are also many kid-friendly activities such as a special recreation center with a video arcade, fitness center, playground and supervised children's games. Many of these spacious condos are beautifully decorated and furnished and have full kitchens, living and dinning rooms and fireplaces. 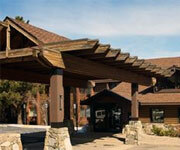 Northstar Resort can also accommodate Lake Tahoe receptions and meetings for groups. 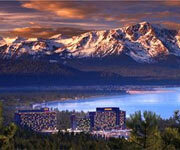 AAA Four Diamond Lake Tahoe Hotel Resort Casino & Spa in a Luxury Lakeside Setting! The Best Places for Large Groups of Friends & Family Reunions! 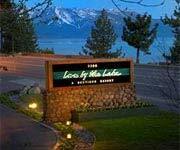 Many hotels can also accommodate Lake Tahoe receptions and meetings for groups. If you’re planning a big family reunion, special event or traveling with a group of friends, here are some Lake Tahoe accommodations for large groups that can suite your budget and lifestyle. Offering luxury amenities, these exclusive Lake Tahoe retreats can ensure you and your loved ones can enjoy a relaxing and memorable vacation. 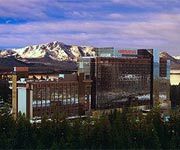 MontBleu Resort Casino & Spa: One of the trendiest casino resorts in Lake Tahoe, the MontBleu is located on the Nevada stateside. Offering a handful of on-site amenities for adults and children, this casino resort has something for everyone. Aside from its casino, MontBleu also houses its own theatre filled with live nightly entertainment, an adult fitness center, men's and women's private relaxation rooms, saunas, whirlpools and steam rooms, fine dining options, bars and nightclubs. 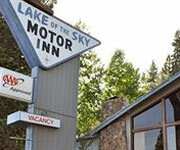 Donner Lake Village Resort: Located in Truckee, on the shores of Donner Lake, guests staying here can enjoy lakefront lodging at an affordable price. These spacious condominium-style rooms make great Lake Tahoe reunion venues for families and friends. Being in front of Donner Lake, guests have access to the private beach and fun water sport activities such as swimming, fishing and kayaking. Nearby attractions include white water rafting in Truckee and the winter world class skiing at Sugar Bowl Resort. 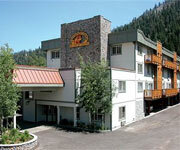 South Lake Tahoe's Only All-Suites Hotel! Lake Tahoe is a great place for a large group of friends or family to vacation because it offers something for everyone -- whether you’re an outdoor type of person who likes to stay active and try different sports, or someone who would rather relax and take it easy. 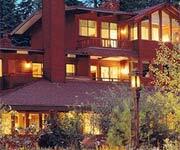 There are dozens of Lake Tahoe hotels and suites fit to accommodate different budgets and large groups. For those planning a big family reunion or friendly road trip, below are a some of the best Lake Tahoe accommodations for large groups. South Shore's only all lakefront property where only sand lies between you and the Lake! Lake Tahoe is a popular vacation destination year round. Those planning a family reunion or special event, there are several places that can accommodate Lake Tahoe receptions and meetings for groups, rehearsal dinners and weddings. 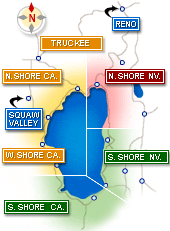 Tahoe Lakeshore Lodge & Spa: South Shore's only all lakefront property where only sand lies between you and the Lake. Catering to weddings, Lake Tahoe receptions and meetings for groups, this beachfront resort is a great choice for those planning special events or family reunions. Harveys Resort & Casino: Guests can enjoy newly renovated luxury accommodations at Harveys Resort and Casino. 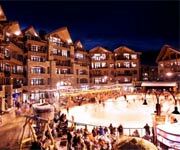 This resort offers great Lake Tahoe accommodations for large groups including wedding services, Kids Camp, Reflections Spa and Improv Comedy Show.